Rare is the LED attire that doesn’t get you mistaken for a walking Christmas inflatable. Rarer still is one non-trust-funders can afford. 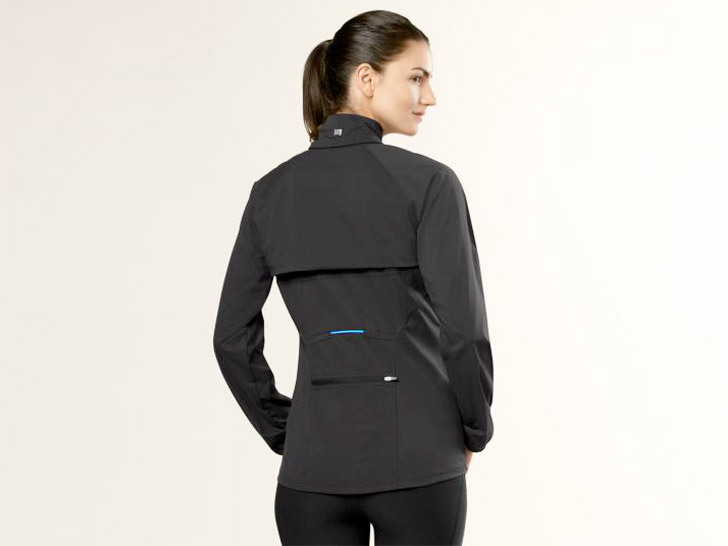 You can thank Syuzi Pakhchyan of Fashioning Technology, then, for spotting the proverbial needle in a haystack: A machine-washable “nightlight” jacket by Lucy Activewear that features 360-degree reflectivity, a three-inch light-up LED on the back, and zip-off sleeves that turn the jacket into a vest. Compared with Wendy Legro’s LED coat (€820) and Angella Mackey’s Vega One ($649), the jacket is a steal at $128, although the old adage of caveat emptor applies. Click below the fold for a video of the topper in action. Rare is the LED attire that doesn't get you mistaken for a walking Christmas inflatable. Rarer still is one non-trust-funders can afford. You can thank Syuzi Pakhchyan of Fashioning Technology, then, for spotting the proverbial needle in a haystack: A machine-washable "nightlight" jacket by Lucy Activewear that features 360-degree reflectivity, a three-inch light-up LED on the back, and zip-off sleeves that turn the jacket into a vest. Compared with Wendy Legro's LED coat (�820) and Angella Mackey's Vega One ($649), the jacket is a steal at $128, although the old adage of caveat emptor applies. Click below the fold for a video of the topper in action.